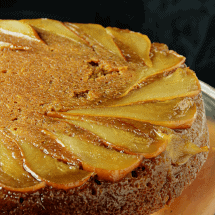 This Upside-Down Ginger Pear Cake will be the perfect addition to your holiday dessert table. So happy to be guest posting over here at The Yellow Bliss Road again. 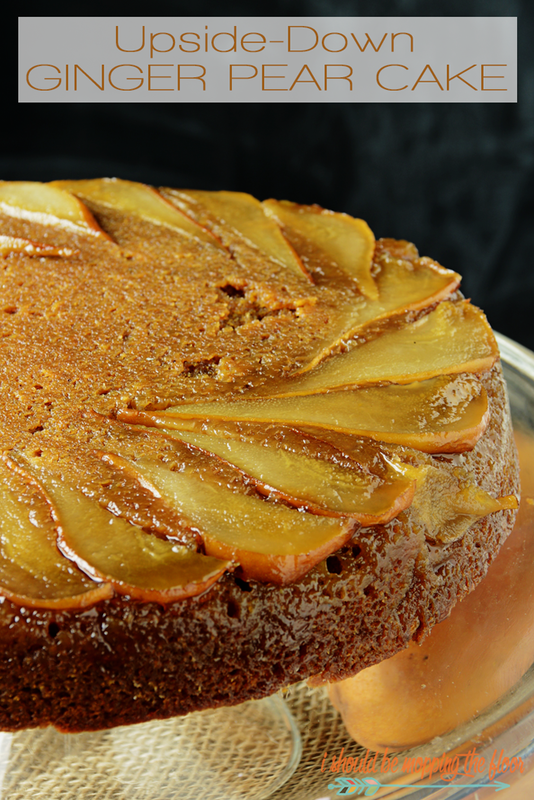 This Upside-Down Ginger Pear Cake is a light and delicious holiday cake that is a lot easier than it looks. I think making a cake with fruit in it makes me totally okay with justifying it for breakfast. Because who doesn’t want a warm gingery pear cake first thing in the morning? 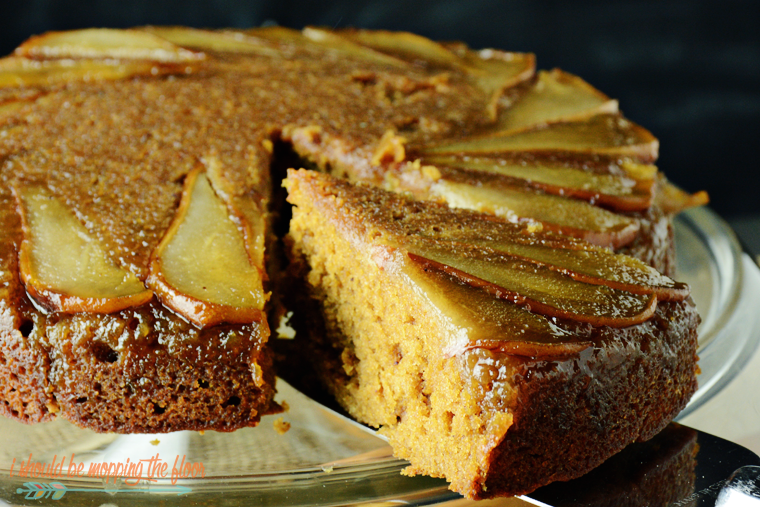 Inspired by Upside-Down Pear Gingerbread Bars from BHG’s Fall Baking Magazine. Preheat oven to 350º. Grease a 9" round cake pan. Combine first three ingredients in a small saucepan over medium-high heat. Bring to a boil. Pour mixture into cake pan, spreading to cover the bottom. 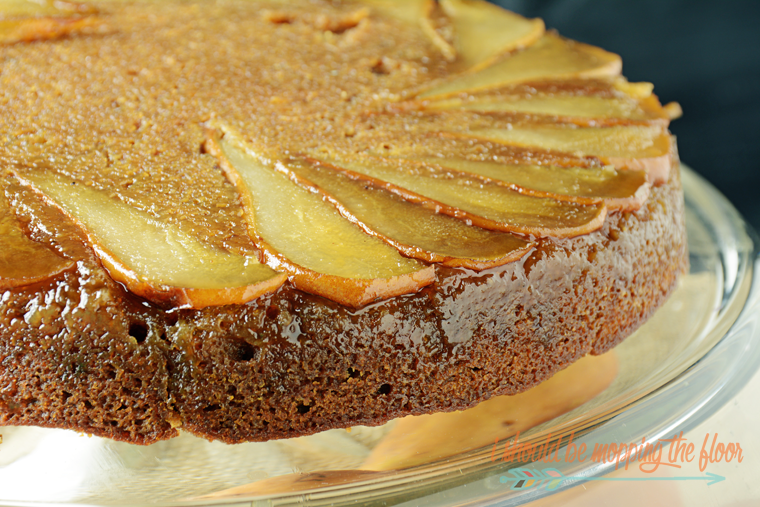 Arrange your pear slices (in a circular shape, along the edge of the pan) on top of the brown sugar mixture. In a medium bowl, stir together the next seven ingredients (through the cloves). In a large bowl, use a mixer to beat the 1/2 cup butter on high for 30 seconds. Add the 1/3 cup brown sugar and continue beating until combined. Beat in eggs and molasses. Add flour mixture and the 3/4 cup water, alternately. Beat on low after each addition, just until combined. Carefully pour batter over pear slices in pan. Bake for 40-45 minutes, until toothpick-test done. Cool in pan on wire rack for five minutes. Loosen edges of cake with a butter knife and invert onto cake plate. Makes 10 servings. Serve warm. Even more delicious a la mode. 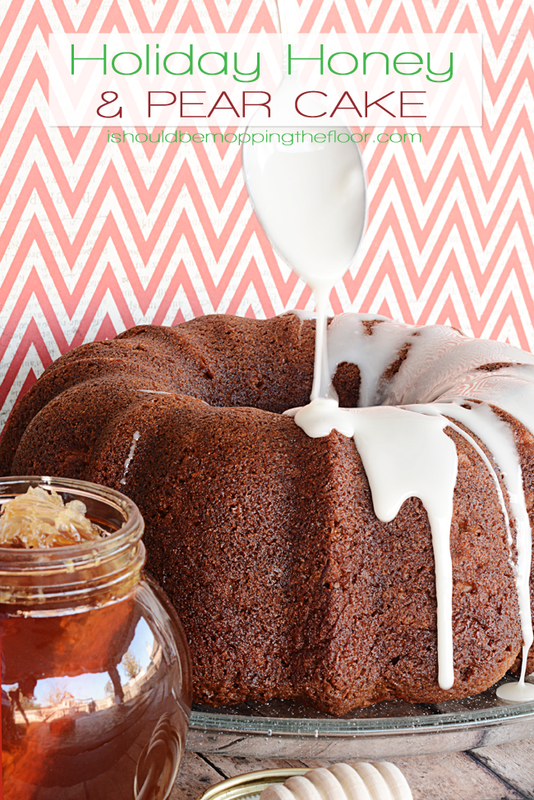 Be sure to add this one to your holiday baking list! I love baking with pears around the holidays. 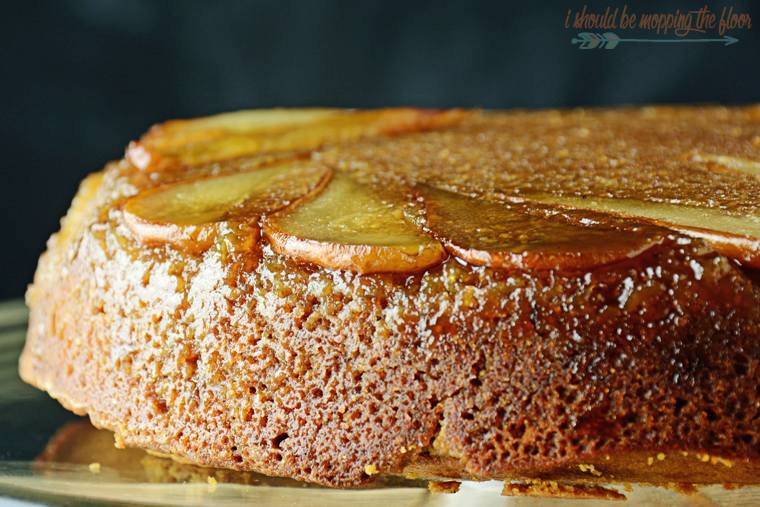 Be sure and check out my other pear cake below, too. Click here for that recipe. Thank you so much for having me here, Kristin! Happy Holidays, friends! For all dessert go HERE and for all recipes go HERE. Um, yah, so – your photography on this cake is KiLleR! !